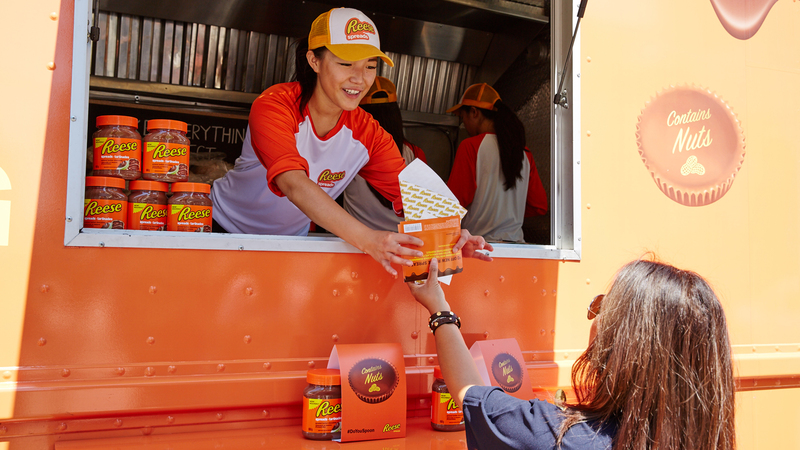 When Hershey Canada launched Reese Spreads, Community was there to spread the news. As the David versus Nutella’s Goliath, we had our work cut, or spread, out for us. 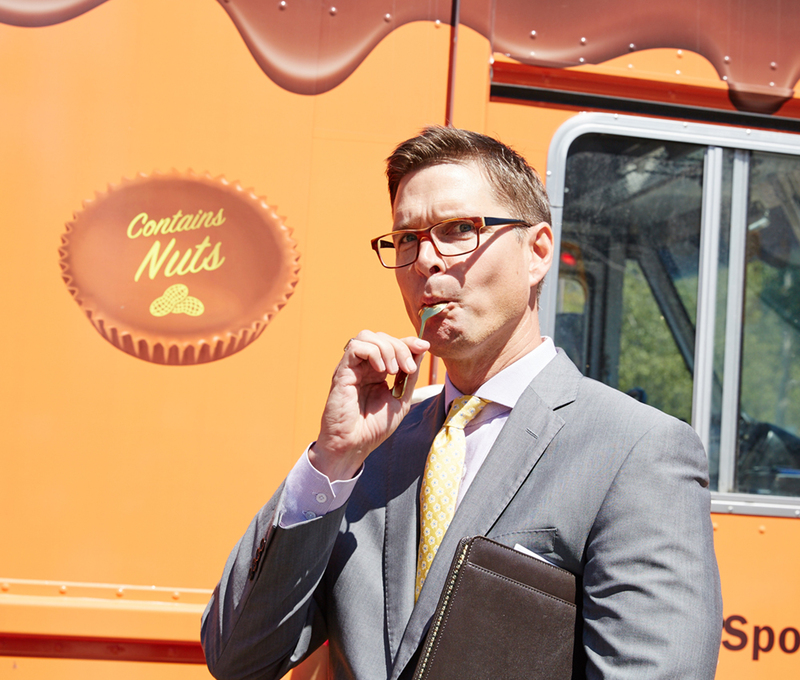 While the category leader has traditionally had a wholesome, somewhat bland tonality, our concept emphasized Reese’s fun and quirky personality. 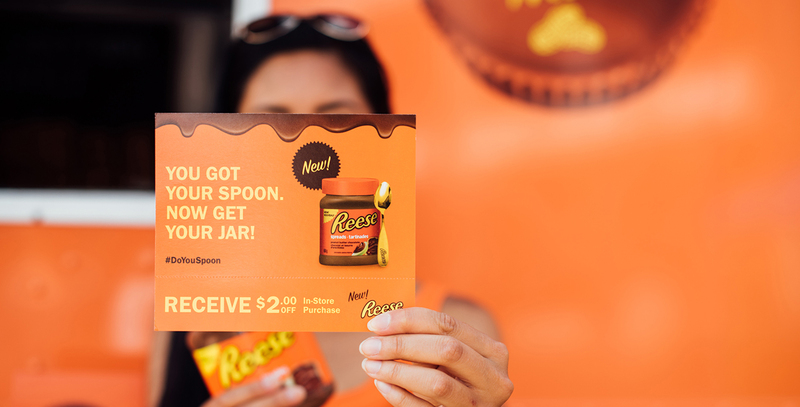 Playing off the notion that it’s tasty enough to eat on its own, the experiential program used the double meaning of spooning to build buzz, awareness and trial of Reese Spreads. The campaign kicked off with a talking vending machine on Toronto’s Queen Street West. A voice inside the machine interacted live with passersby, encouraging them to ‘spoon’ with a giant gold spoon next to it for a free jar of Reese Spreads. 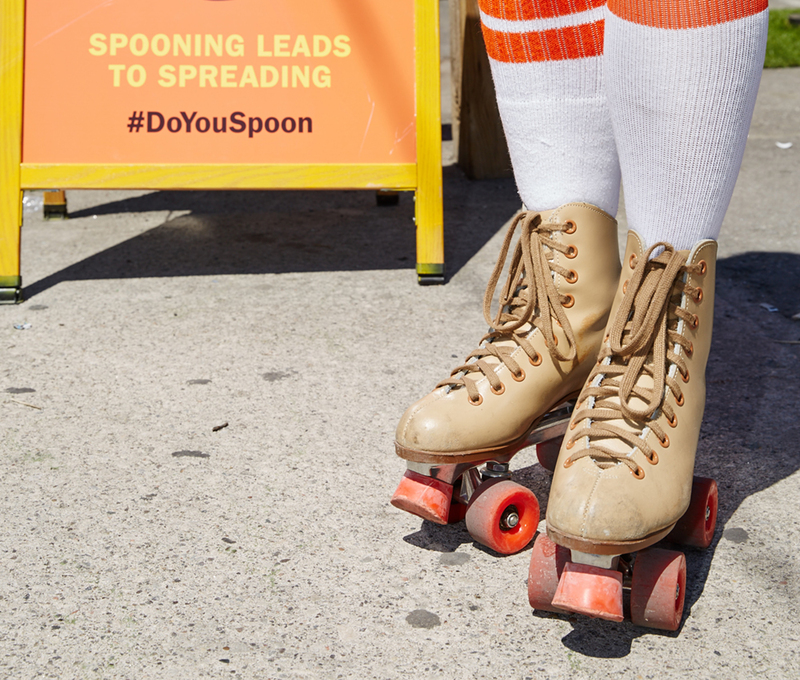 A video of the hilarious reactions was posted on Facebook, introducing the campaign hashtag #DoYouSpoon. 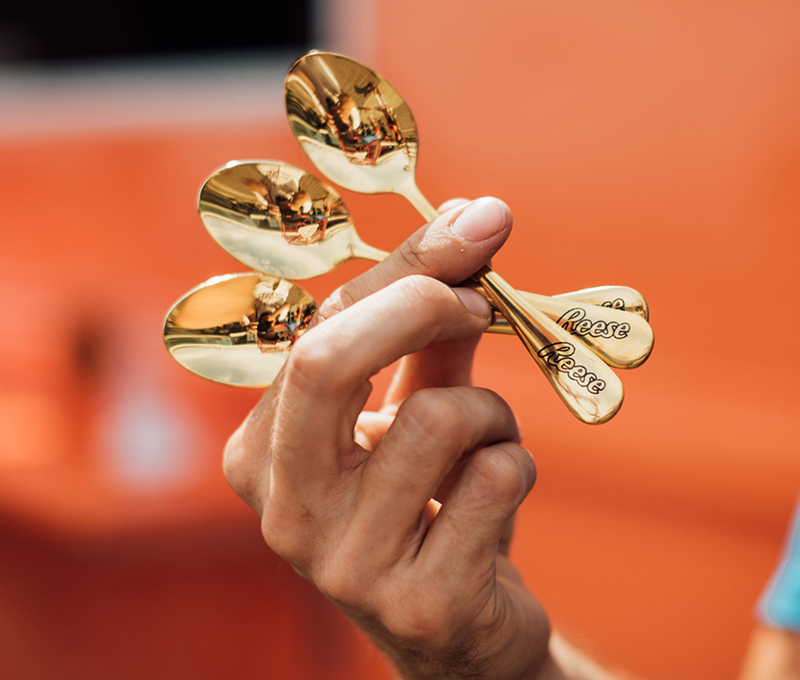 Throughout downtown Toronto, Calgary and Vancouver, Reese Rollergirls gave out branded gold spoons dipped in the spread and directed people to the Reese Food Truck for a free panini. They also spread the peanut butter chocolaty love with $2 off coupons.